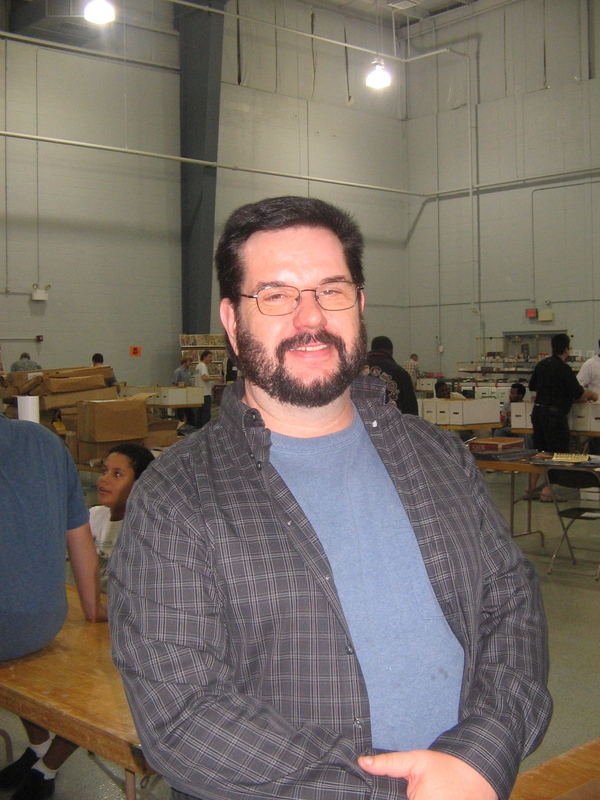 Steve Lightle is a comic book artist and writer who was active in the industry during the 1980s and 1990s. Lightle got his big break into the business as part of DC Comics’ new talent program, illustrating a story in New Talent Showcase #4 – #6 in 1984. He quickly grabbed the attention of the industry with an acclaimed run on the 1984 relaunch of Legion of Super-Heroes where he worked with writers Kieth Giffen and Paul Levitz. He was the primary Legion artist through 1989. In the early 1990s, Lightle was a regular contributor and cover artist for Marvel Comics Presents, which ran weekly and later twice-monthly. During this period he frequently wrote, penciled, and inked his stories. Lightle was also a prominent cover artist, providing regular covers for series including Classic X-Men and The Flash. Steve Lightle is married to Marianne Lightle, who often colored the stories he drew. He stopped working regularly in the comics industry in 2000. He continues to live in the Kansas City metro area and occasionally appears at area conventions. A gallery of Steve Lightle art on the Comic Art Fans site.